(CNN) - SpaceX is in the midst of a funding round that has already pulled Elon Musk's rocket company past a $30 billion valuation. The new capital cements SpaceX's position as one of the highest-valued private startups in the world, according to several firms that track private startups. SpaceX disclosed its latest funding round in a financial filing posted Thursday. The company has sold $273 million worth of shares to eight investors. That accounts for just over half of the shares it put up for sale last month in a $500 million funding round. If SpaceX sells all of them, the company will be worth $30.5 billion. The new valuation and funding round were reported earlier by the Wall Street Journal. It's not clear when the company's deadline is to sell the remaining shares. 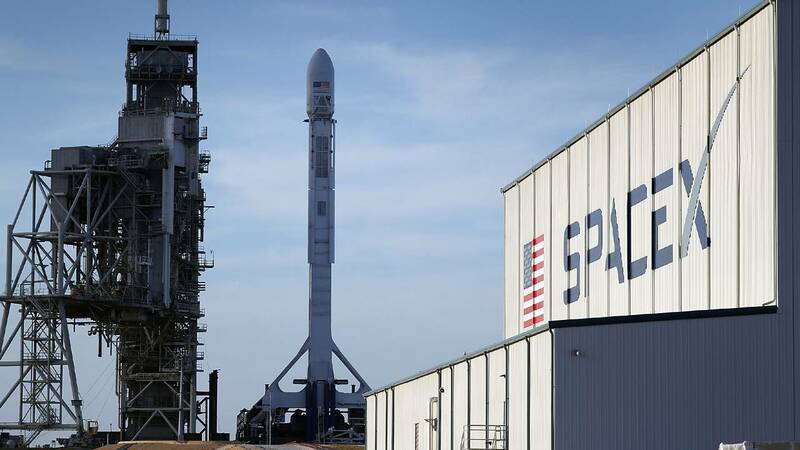 Sohail Prasad, founder and president of Equidate, told CNN Business that "SpaceX has always historically sold the full amount of their round." "[There's] no reason to believe they don't have a number of investors" lined up to finish this one out, Prasad said. The new valuation puts SpaceX neck-in-neck with Airbnb as the second highest-valued private company in the United States, according to Lagniappe Labs' Prime Unicorn Index and Equidate. Both companies still lag Uber, which is headed for massive IPO in 2019 and was last valued at $72 billion. Internationally, SpaceX still trails Toutiao, a Chinese news and content platform valued at $75 billion, and Uber's Chinese rival DiDi Chuxing, valued at $56 billion, according to CB Insights and Equidate. SpaceX was not required to disclose which investors are involved. But the Wall Street Journal, citing unnamed sources, reported last month the backers include existing SpaceX investors and Baillie Gifford & Co., a UK-based firm that is a major shareholder of Musk's electric car company Tesla (TSLA). Neither SpaceX nor Baillie Gifford replied to requests for comment from CNN Business. SpaceX's early investors include Founders Fund, the venture capital outfit co-founded by billionaire Peter Thiel. Draper Fisher Jurvetson and Rothenberg Ventures, two other Silicon Valley venture capital firms, are also backers, according to CB Insights. SpaceX was previously valued at $21 billion in 2018 following its "Series I" funding round, which raised $350 million by selling shares at $169 a piece. Its shares are 10% more expensive this time around, at $186 per share, according to public filings and Peter Kragelund, a senior associate at Equidate. All told, SpaceX has raised about $2.5 billion in equity, according to Lagniappe Labs. SpaceX also took on about $250 million in debt last year in its first loan sale, according to the Journal. Specific revenue details for SpaceX aren't publicly available. But over the past decade, the company has grown from a moonshot startup to one of the busiest launch providers in the world. It conducts orbital missions for commercial satellite companies as well as NASA and the US military. SpaceX sued for the right to compete for military launch contracts a few years ago and won, breaking a decade-long monopoly that Boeing and Lockheed Martin joint-venture United Launch Alliance held on the contracts. SpaceX capped off its 2018 launch year by sending a next-generation GPS satellite into orbit for the Air Force. The new constellation of satellites aims to bring enhanced accuracy to GPS services in the United States. SpaceX is also gearing up to launch astronauts to the International Space Station through a contract with NASA, building on years of conducting uncrewed resupply missions to station for the space agency. Both SpaceX and Boeing plan to begin conducting crewed flights for NASA this year. They will be the first crewed orbital flights from US soil since the Space Shuttle program retired in 2011. But even with its lucrative launch deals, SpaceX has expensive new products in its pipeline that are expected to cost billions to develop. SpaceX plans to use the technology to fly tourists to space and, potentially, one day send humans to Mars. Musk said last year that Japanese billionaire Yusaku Maezawa made a "non-trivial" deposit to one day take himself and six to eight artists on a trip around the moon. Musk predicted that trip could occur as soon as 2023.